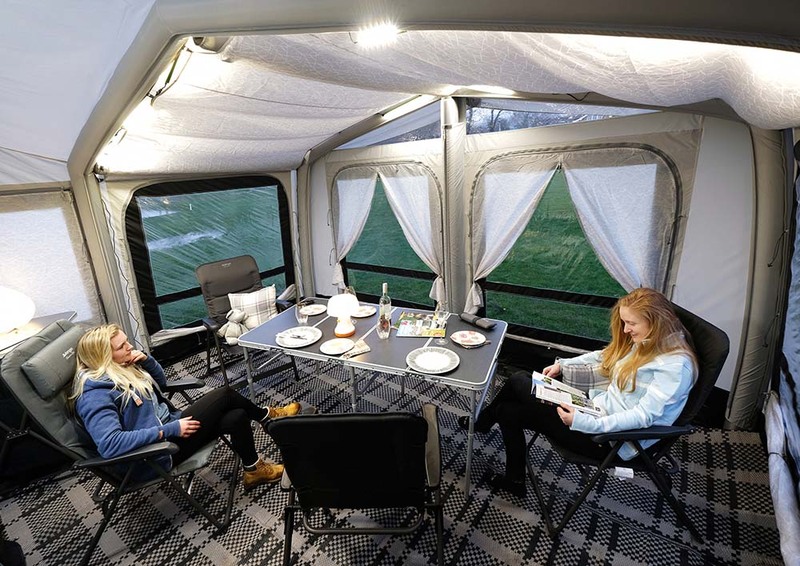 Taking time to sit back and relax is one of the best pastimes of camping, caravanning and campervanning, that's why Vango have designed high quality, versatile furniture collections, suitable for all trips away wherever you go. From feature-packed kitchens for family meals to resilient and comfortable inflatables which will keep you relaxed inside or outside your tent or awning. Here at Vango, we know camping furniture needs to compact for transportation and reliable for use on the campsite all year round. 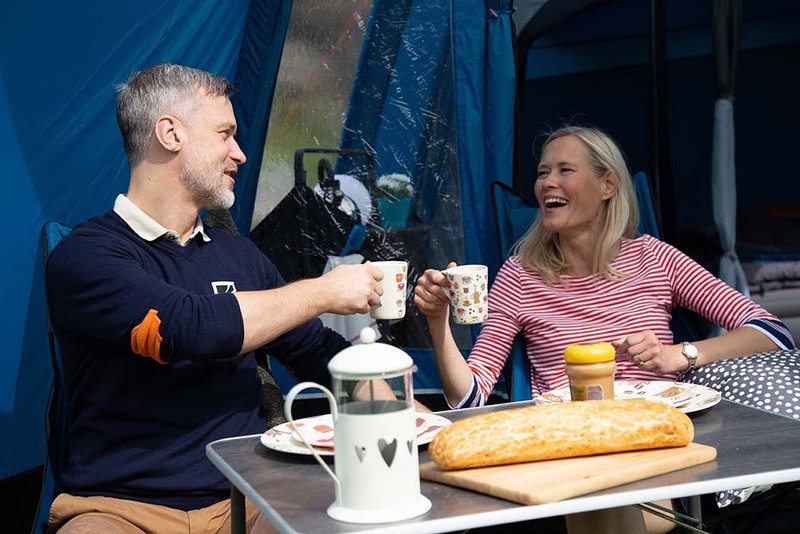 With clever design features and high-quality fabrics, Vango's camping furniture delivers all the practical necessities and ensures you achieve that home from home comfort in the great outdoors. The Vango chair collections expand for 2019, introducing a brand-new Experience range with 6 fresh new styles! Not only does this collection offer a fantastic variety of shapes and designs, these chairs are also available in 3 different colours to suit all preferences, whether you are subject to funky bright colours, or neutral palettes to match your tent or awning. Two of the largest chairs in the Vango Experience range are the Entwine and Embrace, offering unrivalled padding and an inviting wrap-around structure for a hugging feel! For those who prefer a more compact and versatile chair for their adventures, we introduce the Pop and Dune, which are equally ideal for use on the campsite, at the beach and for the kids. Finally, the Malibu and the Divine join the range, offering great back support, a handy cup holder and compact pack size, perfect for any sort of occasion you have lined up! Those who love to lounge after a long day in the great outdoors will appreciate the Vango reclining collection, featuring the Kensington and Hampton styles. These chairs are the pinnacle of comfort, strength and style, offering multiple seating positions as well as hard arms to make getting in and out of the chair easy! For that bit of additional support, our Hampton DLX chair incorporates a comfortable cushion which can either be used as a headrest or lumbar support. 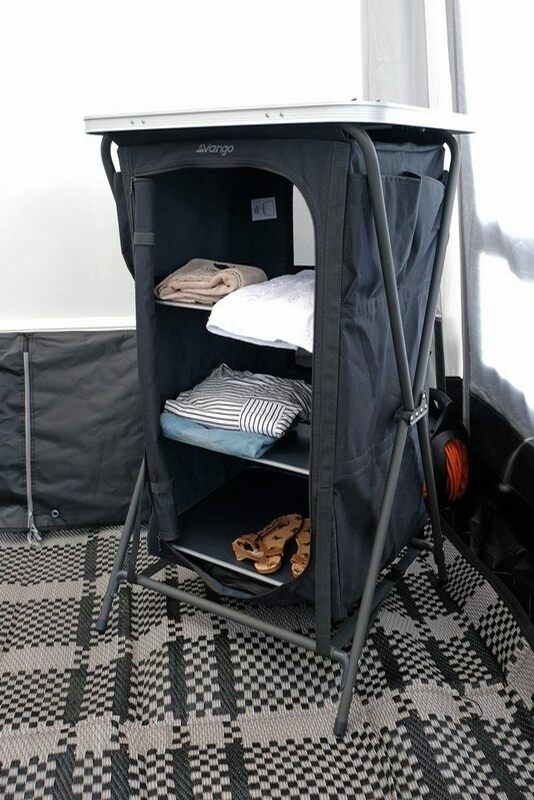 This range is perfect for all kinds of camping or caravanning trip, and they even fold completely flat for easy transport and storage when not in use. Enjoy your next camping trips with one of the Vango oversized chairs, featuring a larger than normal seating area, extra comfy padding and a whopping 180kg weight limit! This collection is the ultimate in space and robustness, ideal for using at family meals on the campsite, or even just to relax in when the sun goes down. 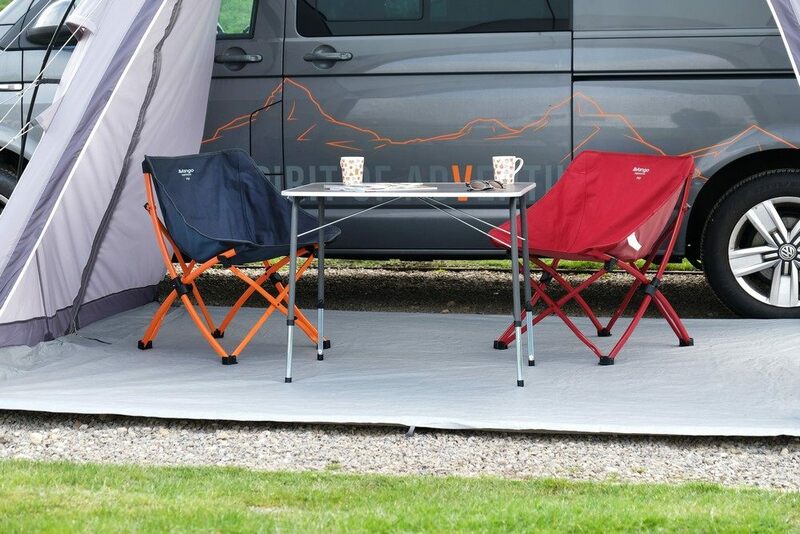 Pair a Vango oversized chair perfectly to your tent or awning, thanks to their classy neutral colourways! Last but not least, our small chair and stool collections continue on into 2019, perfect for regular hikers who like to relax and enjoy the view on the hills or those who need a compact stool for their favourite summer festivals. The Micro chair is brand-new to the 2019 range, which features a wrap-around design to keep the draughts out and provides that bit more comfort with a weight loading of 120kg. And for those that need an extra high back, we introduce the Tall version, giving you that extra support and cosiness whether you are headed on a cycling trip needing a small pack size, or simply for sitting around the campfire on holiday with friends. 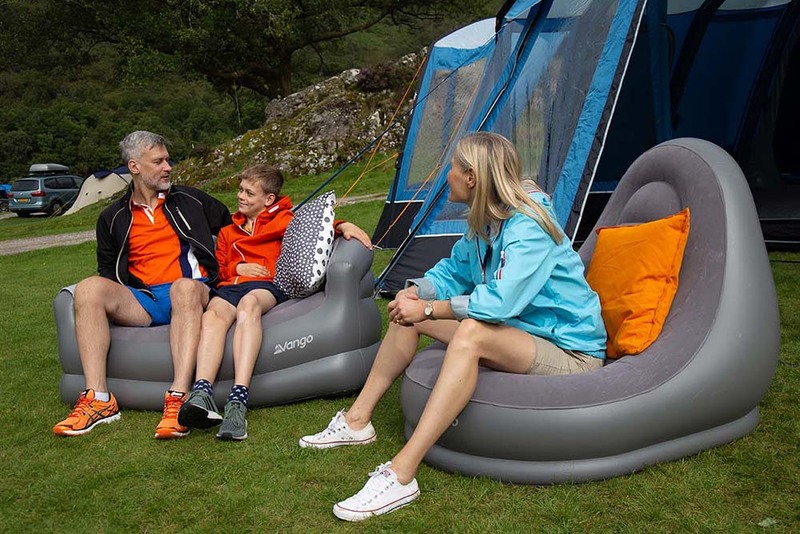 Create that home from home feel with the Vango Inflatable collection, from a luxury lounger to comfortable sofa made to share, wherever you go. The new 2019 inflatable collection comes in a new Nocturne grey colourway, ensuring whatever tent or awning you have, our range will suit! Not to mention our new Inflatable DLX Chair that comes in a variety of colours including Carmine red and Mykonos blue to add a pop of colour to your camping or caravanning equipment. All of the Vango inflatable chair collection features coil beam construction which ensures a supportive and strong structure, as well as a flocked PVC material to get that perfectly comfortable surface for lounging! Enjoying family meals or drinks with friends wouldn’t be the same without a reliable, stylish and multi-functional camping table. Thanks to their adjustable legs, the Vango Granite range is everything you need for all of your trips throughout the year, easily transforming into a coffee table or dining table whatever the occasion! From the compact Vango Cypress table ideal for a bedside table, to the Granite Duo 120 which can seat up to 6 people in comfort, perfect for family meals. There are 6 Granite styles to choose from, and not to mention the Granite Bench Set which is compact, practical and ideal for the kids! New for 2019 are the Orchard and Orchard XL Set's joining the Vango steel table collection, which are perfect all in one sets with 4 chairs each - all able to pack down into a carry bag! The table and chairs are lightweight and even waterproof, with a sturdy steel frame which will be your go-to set for all upcoming trips away. These sets are ideal for families or groups of friends that desire a quick set up and a simple seating area for meals and games. Create your favourite campsite meals with Vango's range of feature-packed kitchens, available in 3 different styles depending on your preference! Firm favourites, the Cuisine and Gastro remain in the collection for 2019, whilst the Bistro DLX has been slightly updated with a 600D polyester and Granite effect table top to provide a more reliable and long-lasting kitchen. All of our kitchens are fantastic for campers and campervanners alike, whether you are cooking up a full English or preparing your favourite campsite dish for all of the family. Vango storage options are the ultimate camping must-have, to provide you with that all-important space for equipment, clothes, footwear, books or whatever you please! For 2019, we introduce two brand-new styles to the collection, which are the Granite Storage Unit and Granite Double Storage Unit. 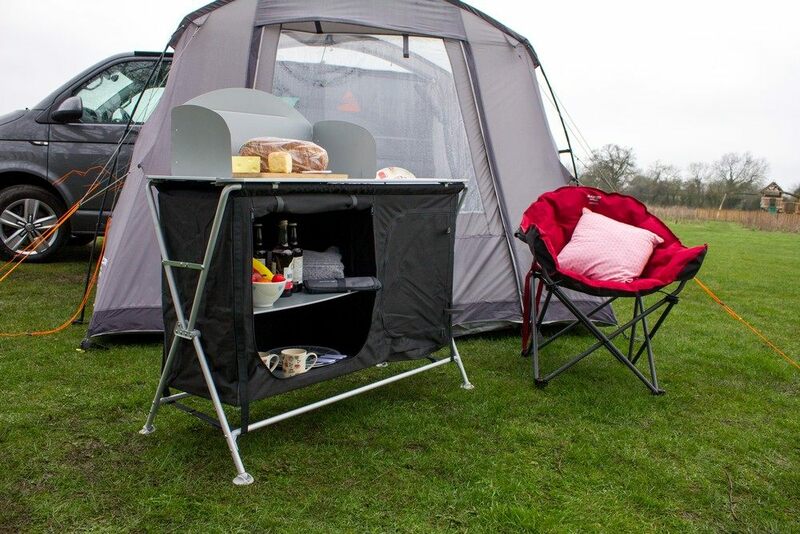 The modern granite effect table top ensures durability and reliability on the campsite, whilst the multiple shelves allow room for all of your belongings. Our Mammoth Duo Wardrobe continues for 2019, giving you the option to hang your clothes on the included rail, just like your wardrobe at home! Joining the camp bed collection for 2019 is the Laze and Laze XL, which live up to their name by being the ultimate lounger or bed whether you are at the campsite or in the garden enjoying the rays. These camp beds allow for 5 different lounging positions, meaning you can lie completely flat to enjoy a great night's sleep, or sit slightly upright to read your favourite book wherever you may be! The Laze XL is a higher bed than the Laze and designed for taller campers, making it easier to rise from and offering a larger place to relax. Not to mention the Laze and Laze XL have an open leg frame to store bags and equipment, which in turn provides a strong and stable structure! Vango's firm favourites, the Hush, Somni and Dormir collection continue in the range for 2019. For those who need a compact, lightweight and robust camp bed for trips all year round, the Hush Is right up your street! 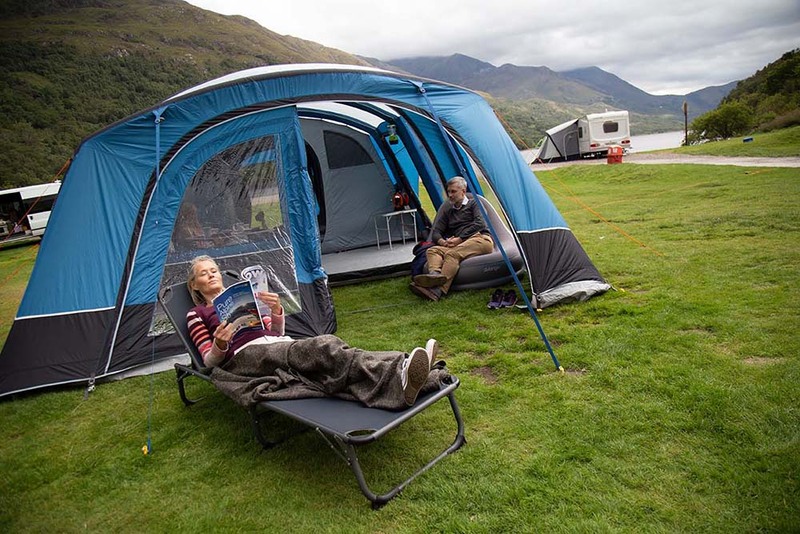 And for those with a family tent or awning would be thankful for the Dormir single camp beds or the Somni Double which bring that bit of luxury and home from home feel to your trips away. 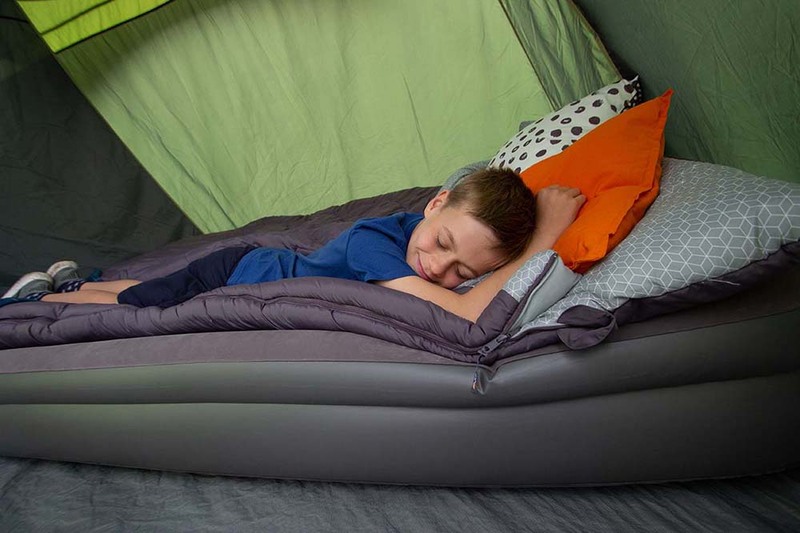 Enjoy every night away with the Vango air bed collection! 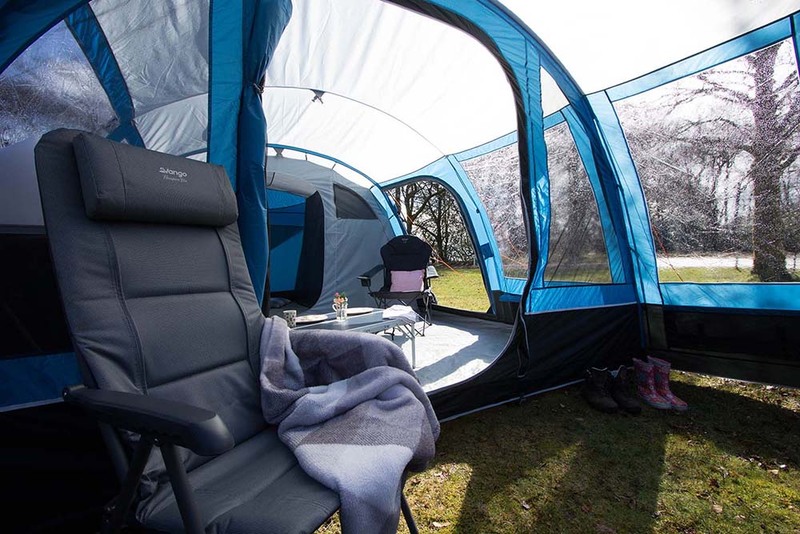 The Single and Double Flocked Air beds have been updated for 2019 with a rich grey colourway, ensuring it suits awnings and tents alike. These airbeds have a comfortable flocked surface and coil beam construction for extra support!